Feel like celebrating New Year in Madrid? The Spanish capital sees in the New Year at its legendary Puerta del Sol as the tower clock chimes midnight. Book your apartment in Madrid now and get ready for a magical night in an unbeatable location in the heart of Spain. If you’re planning on travelling to Madrid for New Year’s Eve, make sure you book your accommodation as soon as possible! Choose where you want to sleep carefully and you’ll have a magical night. 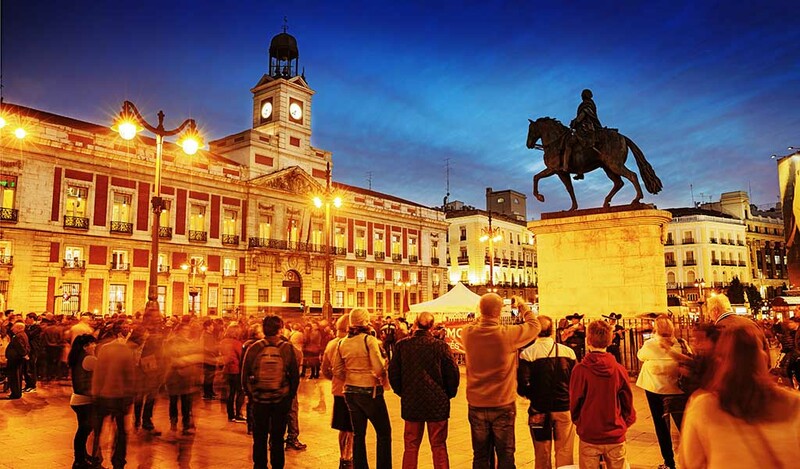 Here at Friendly Rentals we recommend the area around Puerta del Sol (epicentre of New Year’s Eve celebrations in the capital), as well as Plaza Cibeles, Puerta de Alcalá and Plaza Colón, where you’ll find lots of New Year’s Eve partying. 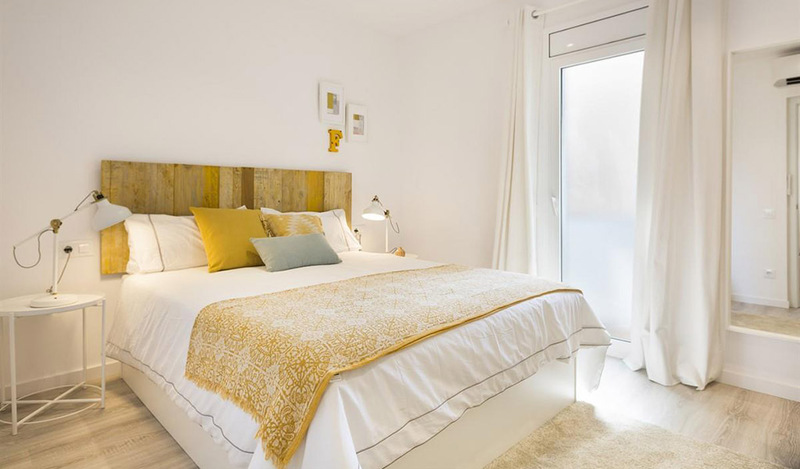 Check out our central apartments in Madrid: great prices, unbeatable location and fully equipped to make sure you feel right at home. What makes New Year’s Eve so special in Madrid? Celebrating New Year’s Eve in Puerta del Sol is something you should do at least once in your life. If you’re one of the lucky ones spending New Year’s Eve in the city, here are some essential Spanish traditions you should know all about. Whether you have dinner at home, in a restaurant or in Puerta del Sol itself, don’t forget to bring your 12 grapes, which you should eat one by one on each strike of the bell of the tower clock. If you want to keep up, smaller grapes are easier to swallow quickly. Make sure to have a bottle of cava at hand to celebrate the New Year as soon as you’ve finished your grapes. For an extra lucky touch, pop something golden in your glass before toasting and raise your right foot in your best flamenco pose! Other accoutrements you’ll need include party blowers, masks, caps, wigs and anything else you fancy to make the night go with a bang. There are lots of parties in Madrid on 31 December, so you won't have any trouble living it up and dancing till you drop. The key, as ever, is good company and finishing the night in style: with churros con chocolate! We can recommend the famous Chocolatería San Ginés. Sounds like a good plan? Book your New Year’s Eve apartment now and experience Madrid at a very special time of year.